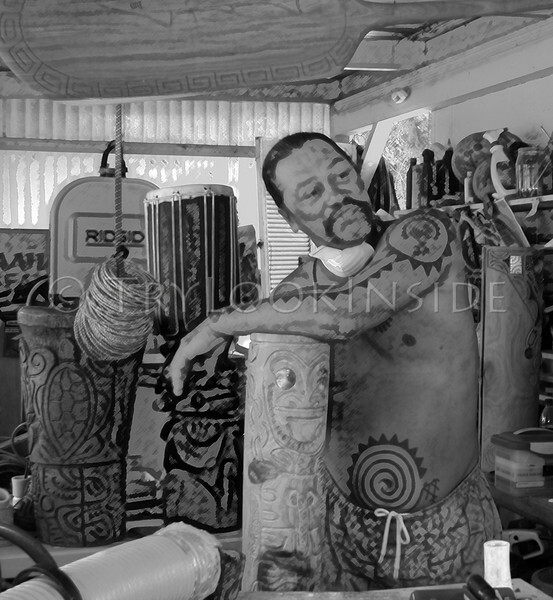 "Ike Hana Lima" Big Island artist, Dean Kaahanui carves and shapes wood, stone and bone to tell stories through his hands. You can find his work at galleries including Na Mea on Oahu. 2005 3rd Annual Black and White Photography Exhibition.